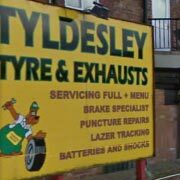 At Tyldesley Tyres and Exhaust we aim to make Exhaust, Tyre and Brake repairs or the annual MOT test as pleasant and painless as possible. We want you to leave safe in the knowledge that you’ve had sound advice and excellent service by people who know the business. Our personal approach – and feedback from our customers – convinces us that our service will beat the national chains for value, expertise and reliability every time. We are fully authorised MOT station. Our 10000 sq. ft motor garage is equipped with latest tyre and exhaust servicing equipments. 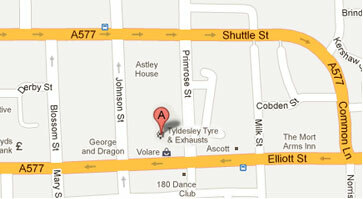 We also stock Branded tyres and Exhausts. We have now expanded in providing Air Conditioning Expertise including servicing, regas and fault diagnostics.